At this point, there is clearly a pattern of behavior, so surely something is going on beneath the surface to make Bieber behave so badly. I mean, we’d like to give the guy the benefit of the doubt… but it’s not like he’s making it easy for us. Perhaps a sit-down with Dr. Phil is in order? Maybe a round on some celebrity reality show for stars who need image rehab? 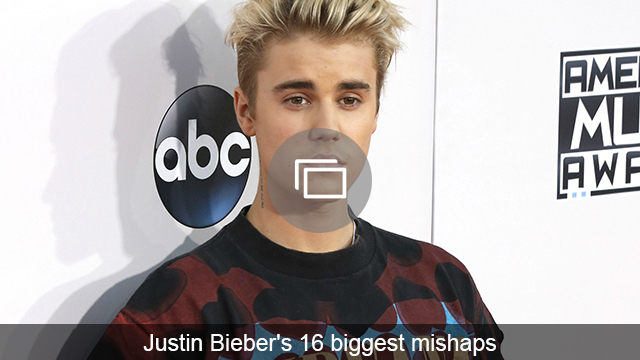 Before you Beliebers flock to his defense, take a look at the timeline of this hotheaded pop star’s temper tantrums. What’s that old adage about biting the hand that feeds? Bieber might do well to remember it since his fans are his lifeblood — and he just stormed out on them. It happened on Sunday at a concert in Manchester, England, after fans refused to stop screaming during Bieber’s set. “I just thought I could have a moment to say something. I can cut [it] if you want. I’m trying to engage, but if you guys don’t want to, I’ll play the music,” he told the crowd earlier in the night. But when he started playing and told the crowd to be quiet, they responded by booing. Biebs’ reaction? To throw down the mic and walk off the stage. During his “comeback tour” after a string of seriously questionable (and allegedly illegal) antics, the Biebs made an appearance on the Today show to promote his then-new music. However, he wasn’t happy with the way Today handled their cameras. While he probably figured his bratty behavior wouldn’t be seen by the world since it happened right after the performance, the cameras were still rolling when he complained, “Next time I won’t dance because the camera’s right there the whole time… might as well not even dance.” Tough break, buddy. You might say Bieber’s press appearance on a Spanish TV show was no bueno. Thanks to a language barrier on both sides, the interview went from bad to awful in no time flat. After a series of seemingly innocuous albeit awkward questions, Bieber just puts his headphones in and tunes the talkative hosts out. And after several more painfully uncomfortable minutes, the hosts proposed a question that apparently crossed the line for the Biebs when they suggested he make a crazy video to break the internet. The pop star scoffed at the idea… and then just walked off. 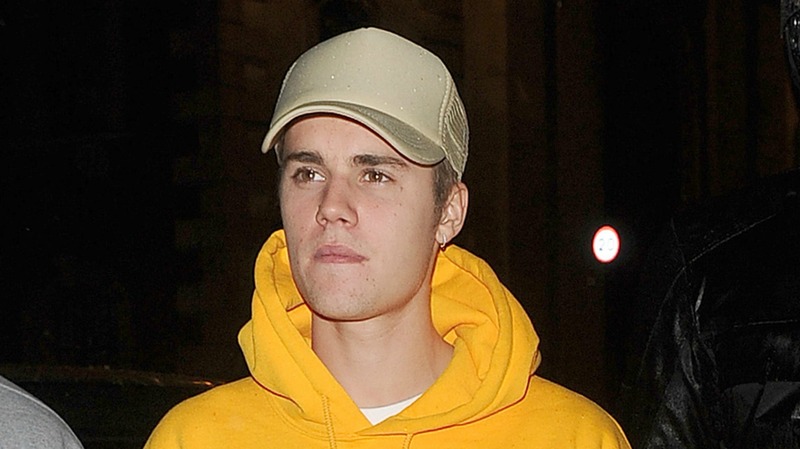 Apparently irritated with fans who flocked to him while he was dining al fresco in France, the Biebs couldn’t take it sitting down for one more minute. No, literally — he lost his temper and tossed his chair on the ground before bailing on the dining experience altogether. The next day he tweeted a GIF of a chair being thrown with the caption “I love you,” which was presumably some coded mea culpa. You’d think since he was being interviewed in connection with a lawsuit about having his bodyguard allegedly beat up a photographer that the Biebs would be on his best behavior, but that was certainly not the case during his 2014 deposition. In addition to coming off as smug and arrogant most of the time, Bieber bit off one soft-spoken reporter’s head when she was just trying to do her job — and politely, at that. Outside his London hotel room in 2012, Bieber almost got caught up in a paparazzi smackdown. In his defense, though, the paps were being a bunch of wankers — they were obviously baiting him by shouting expletives and insults in an attempt to get a rise out of him. Which, uh, they did. Bieber came back out of the car to challenge the pap and even had to be restrained by his bodyguard.